Jump Smash™ 15 - With more than 6 million downloads worldwide, The World's No.1 Badminton game comes back in Jump Smash™ 15! Get ready for a badminton experience like no other; featuring an all-new intuitive swipe-mode gameplay, global stadiums, PVP mode, original anime characters, and high quality visual effects! 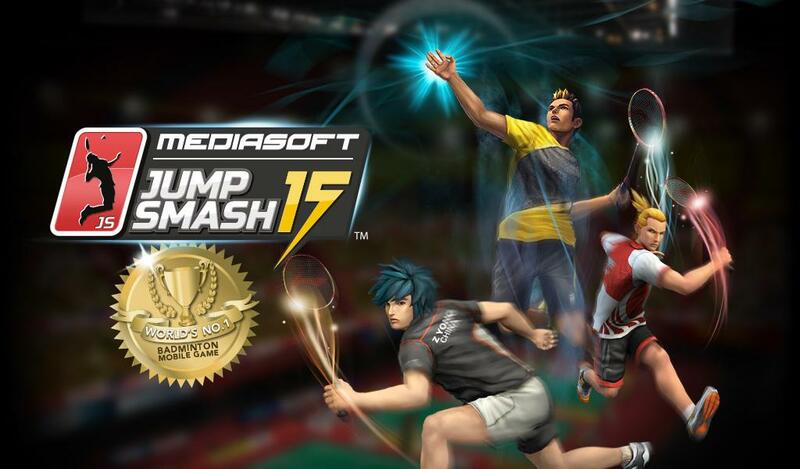 Jump Smash™ 15 is the third installment in the Jump Smash™ sports franchise, developed by Mediasoft™ Entertainment and published by Astro Malaysia. • Exhibition Mode: Play in singles or doubles mode to earn JS coins. • Tournament Mode: Play your way through the tournament to become the World Jump Smash Champion! Earn JS coins and unlock characters in Tournament mode. • Multiplayer Mode: Go head to head with your friends or compete in local and online tournaments! • Training Mode: Utilise training mode to improve your character's individual statistics. • CustoMe™: Customise your own individual character and play with them in Tournament and Multiplayer Mode! JS SHOP: Earns JS coins in Exhibition and Tournament modes. Spend it in the JS Shop for new racquets, shoes, apparel and training to improve your character's stats. So what are you waiting for? Download now and get ready to JUMP SMASH™! Android 4.0 Ice Cream Sandwich with 1GB RAM memory, Quad-core Processor and 1GB storage size. stop copying androgamelinks.blogspot.com posts !!! last warning for users who copied posts !! !